I love cooking. It was something I came to a bit later in life; I lived by myself for most of my 20s, and dinner was often at a restaurant, or a ready meal, or an omelette before heading out to a gig. 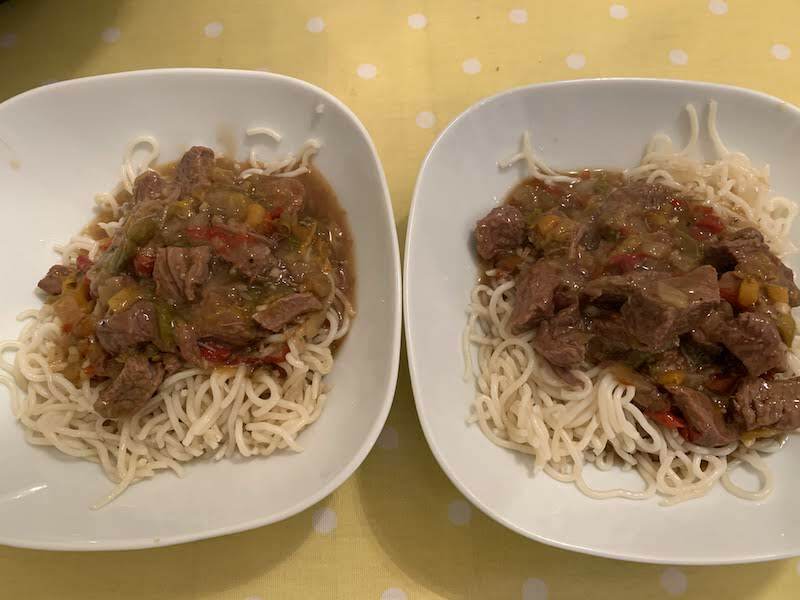 Then, once I had met TheBloke (TM), he did most of the cooking (once he went out for the evening, leaving me instructions on how to pierce the plastic on a ready meal, such was his confidence in my culinary abilities). But over time, I started to be more interested in food, to the point that I’d almost call it a hobby. I’m still not brilliant at it, and have my share of disasters (my stuffed cabbage once made TheBloke (TM) physically retch), but I’m getting there. I’m also a sucker for a gadget. This is not specifically related to cooking. I have gadgets for pretty much everything. I have a robot hoover. An on-the-go charger for my mobile. Two Alexas. If it’s gadgety, I probably have it. A lot of gadgets get used once or twice and then find the back of the cupboard, where they tend to stay. (Chef’s blowtorch, anyone?) But my Instant Pot. Oh, my lovely, lovely Instant Pot. I must use this at least twice a week, sometimes twice a day. An Instant Pot is basically a very safe, electric pressure cooker. 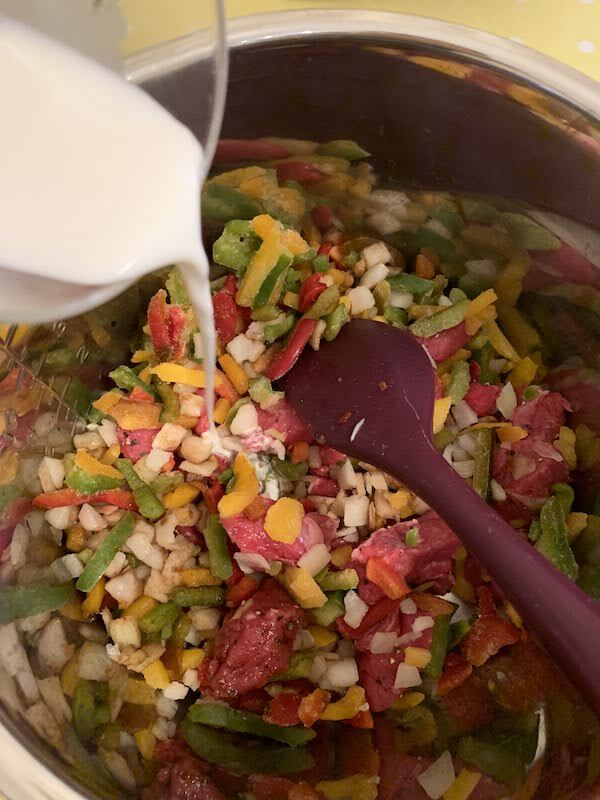 I used to use my slow cooker a lot, but when it started not working properly, I replaced it with the Instant Pot, which has a slow cooker function, in addition to about eight other functions (yoghurt maker, saute, soup maker, yada yada). I literally never use the slow cooker function on the Instant Pot anymore, because it can cook at pressure within 30 minutes what would take eight hours to do in a slow cooker – and it generally tastes richer too. One of my favourite recipes for the Instant Pot is a literal one-pot dump recipe that takes about 3 minutes to prepare and 30 minutes to cook. It’s also pretty healthy and the children will eat it too (so long as I pick out the onions). Bonus. 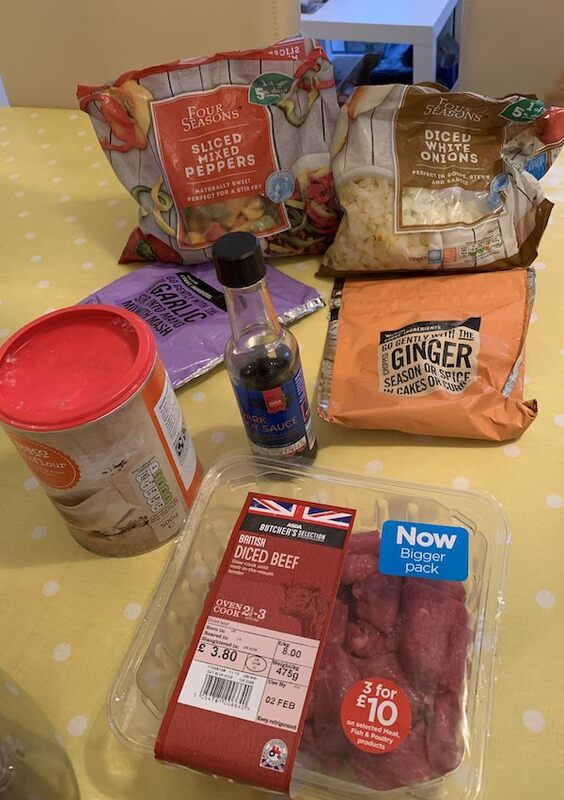 The children don’t have a huge amount of meat in their diet and I am prone to anaemia, so I do try to make sure we eat beef every so often, as not only is it rich in protein but is a source of iron that helps reduce tiredness and fatigue. Iron is important as I found out when I was pregnant and was so low in iron that I couldn’t be bothered to reach the TV remote about 6 inches to my left to change the TV channel. The best part about this is there is no need for any method, plus it’s mostly stuff you might have in the freezer anyway. Literally dump it all in the pot together. Give it a bit of a stir if you fancy (but you don’t have to). Set the pot to sealing and 30 minutes manual. Let pressure reduce naturally. Job’s a good’un. If you don’t have a pressure cooker, eight hours in the slow cooker should do it too. Serve over noodles or rice. Pick out the onion bits for before attempting to give it to your children. Eat. I love the idea of an easy Chinese meal during the week. Delicious!